I'm finally getting around to posting about this year's adventure with the ladies of the ASUWRFC. Please excuse the tardiness but this is one project I love to share. Blair, David and I teamed up again to come up with posters that will help recruit new players to the team. Recruitment is something that is really difficult. 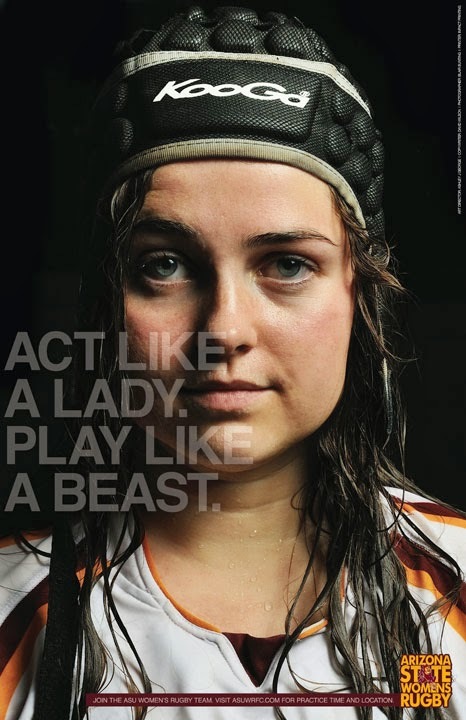 There is a stigma of rugby that it is too rough for a girl to play or that you have to be an ogre. Neither of these are true. We worked really hard to show the dedication, focus and drive these girls have when they step on the pitch every day through just their face. There's no ball, no pitch. Just the faces of the girls you are going to face when you play the Arizona State University Women's Rugby Football Club. These are girls who get up every day and go to class and most of them you wouldn't think play rugby. Though they leave their hearts out there on the field when they finish a game and then go drink a beer and sing songs with the opposing team. If you see these posters and are a college student now, go out and play rugby. If you are a parent, get your kid involved in rugby. It will help them become a better human being. 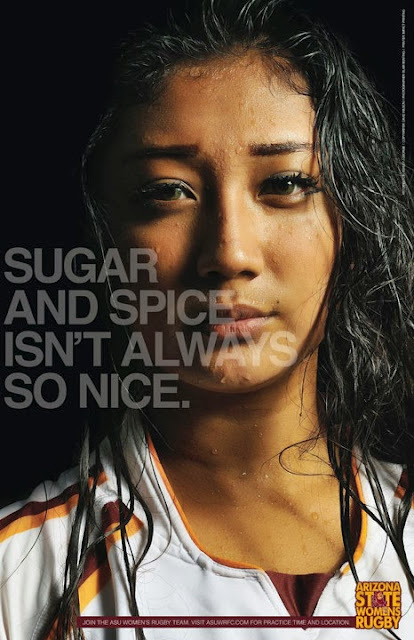 Thank you to all the ASUWRFC girls who were at the shoot and were patient while we set everything up and fearlessly jumped into not the warmest water. You are incredibly appreciated!